The holiday of Shavuot, starting in a few days, celebrates the giving of the Torah, and allows us to celebrate the multi-faceted Torah both as individuals and as a people. As we revisit the Torah, we challenge ourselves to find deeper and deeper meaning in it. Even more so, we also have the opportunity to learn from people who are different than we are and experience the Torah in different ways. This video highlights the story Israelis who chose to convert to Judaism with the Masorti Movement. Since the Masorti Conversion Institute was established in 1992 thousands of Israelis have turned to us for conversion. However, converting with Masorti is not a trivial choice! 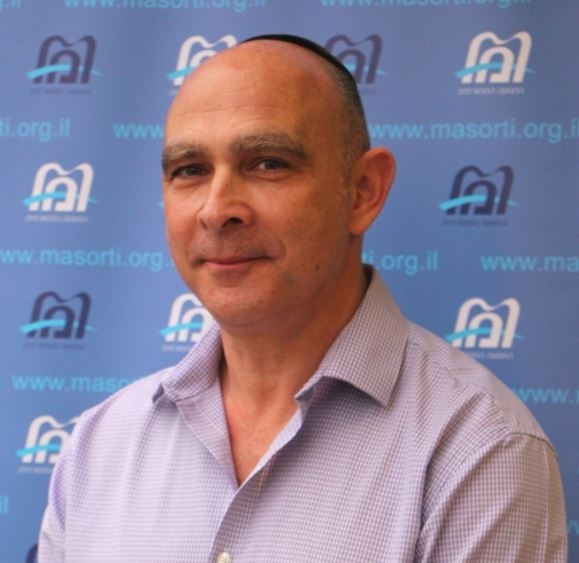 The State of Israel, following a Supreme Court ruling from 2002, recognizes Masorti conversions and allows gerim to be registered as Jews in the Ministry of the Interior. However, since the Orthodox Chief Rabbinate still continues to control marriage, divorce and burial laws in the country, the Rabbinate doesn't recognize our conversions and therefor they do not allow our converts to marry within the State of Israel. The Video provides us with a glimpse into the lives of theses remarkable Israelis who chose to convert with us. A glossary explaining conversion with Masroti and a Limmud focusing on the Question What does it mean to be a Jew? accompanies this video. Click here for a glossary explaining conversion with Masorti. Click here for a limmud focusing on the question "What does it mean to be a jew?" In a festive and moving ceremony at the Hod VeHadar Masorti congregation in Kfar Saba, we celebrated the arrival of a new Sefer Torah. 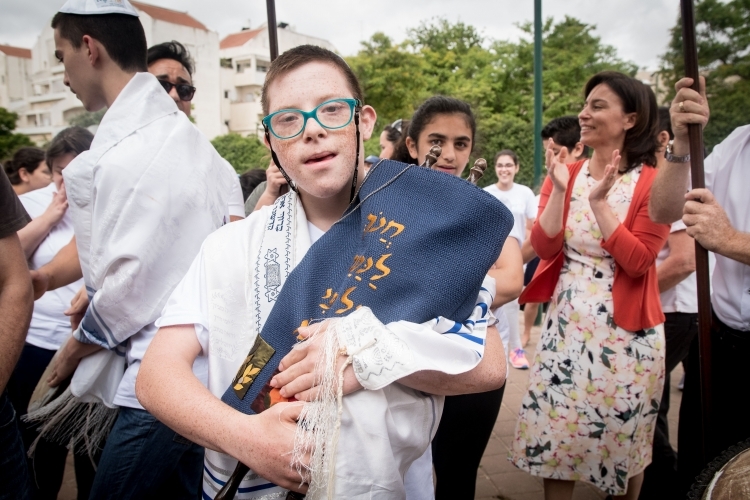 But this was not any Hachnasat Sefer Torah: the ceremony marked the dedication of a small Torah scroll that is a bit less than twelve inches in width. Why did the Masorti Movement write a small Sefer Torah and for whom? the Harvest Festival (Exodus 23) – since we have reached the harvest season; Shavuot, literally Weeks, (Exodus 34, Deuteronomy 16) – after having counted seven weeks from Pesach; without a specific name, but with reference to counting the Omer, the harvest and bringing the first fruits (Leviticus 23); and the Day of the First Fruits (Numbers 28) – referring to the unique commandment of this festival, to bring the first fruits. The Rabbis also added other names, including Atzeret (assembly) and Zman Matan Torateinu (the time of the giving of our Torah). This last name appears in all the holiday prayers as a subtitle to Shavuot. It is apparently clear why the Rabbis attached this name to Shavuot: to commemorate the unparalleled event of the giving of the Torah at Mount Sinai. Similar to the idea that on Passover we are all obligated to see ourselves as if we, too, left Egypt, so too, according to tradition, we all stood at the foot of the mountain when we received the Torah.